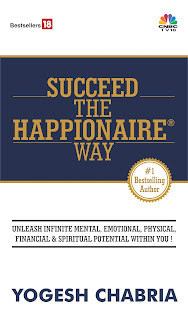 Yogesh Chabria - The Happionaire ​Blog - Best Motivational Speakers In India - Inspiration, Success: Want To Increase Your Sales With Happionaire's Sales and Business Mastery Program? Want To Increase Your Sales With Happionaire's Sales and Business Mastery Program? "Happionaire's Sales and Business Mastery - The Ultimate Sales and Business program is here to change lives. Be a part of this revolution!" I am happy to share the dates and details for our Happionaire's Sales and Business Mastery one day program. This program has helped people increase their sales, business and influence in the most practical ways. Are you interested in knowing more on how you and your team can really benefit from it? Have a great day ahead and happy selling! Would love to attend. Have made the registration and payment. Kindly confirm.